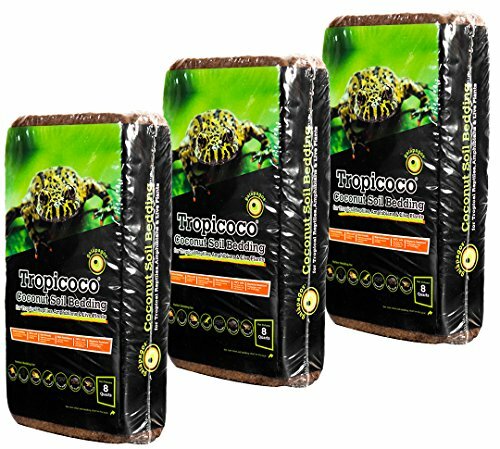 Galapagos Tropicoco coconut soil bedding is for Tropical Reptiles, Amphibians & Live Plants. It is a perfect substrate for Oriental Fire Bellied Toads, Crested Geckos, Tiger Salamanders, Pacman Frogs, Green Anoles, Garter Snakes, Box Turtles, Western Toads and similar species. Tropicoco comes in Three 8QT compressed bricks.